We engineers have long understood that manoeuvrability usually comes at the expense of stability and vice versa. For example, imagine a robot that balances on a rubber ball – a single point of contact with the floor – meaning it can instantly move in any direction and, quite literally, turn on a sixpence. Although the ‘ballbot’ concept is familiar from science fiction, the principle seems so inherently unstable as to be impossible in real life… but engineers from maxon motor have helped an interdisciplinary team of Swiss students to attempt just that – with astonishing results. ‘Rezero’ is the world’s first ballbot to both truly master the art of balancing on a ball, and fully exploit the manoeuvrability potential this feat provides – all within a pleasing, futuristic design encouraging interaction with bystanders. The whole precise business is governed by a real-time, low-level computer, directing the maxon omniwheel drives through a CAN network. It is the result of collaboration between the Swiss Federal Institute of Technology in Zurich, the Autonomous System Lab, Zurich University of Applied Sciences and the Zurich University of the Arts – each bringing their own area of expertise to overcome a series of design and engineering challenges. Staying on the ball The first hurdle is the act of balancing on the ball itself. Ingeniously, to facilitate the constant, minute adjustments to keep the centre of gravity perfectly positioned, Rezero continuously spins the ball under its centre of gravity, even when appearing to stand completely upright. To balance, though, these movements might need to be in any direction – and to achieve this, the ball is manipulated by three specially-developed omniwheel assemblies, allowing a complete range of axial and radial rotation. The team enlisted engineers from maxon motor, to help specify a drive solution that would deliver the performance and lighting responses required to maintain balance, within the limited space of the omniwheel suspension. Together, they devised a combination of maxon’s flagship EC-4pole dc brushless motor, 42mm planetary gearhead and encoder, offering unbelievable torque and responsiveness in a compact unit. Further space was saved by using maxon EPOS 70/10 positioning controllers which, like all maxon controllers, can work as slaves in a CAN network; ideal for tight spaces. Falling with style Things get even trickier when the robot starts to move – since rolling in any given direction produces counter-torque, causing a tilt the other way. The ballbot pre-empts this by allowing itself to ‘fall’ slightly in the direction of travel, accounting for the effect of the acceleration, and leaning into the movement so it is effectively ‘chasing’ its own centre of gravity. The greater the acceleration, the greater the tilt. Similarly, Rezero allows for the effect of deceleration by actually first accelerating momentarily, ‘outrunning’ its centre of gravity to get back to an upright position. The Rezero ballbot has truly mastered the art of balancing on a ball and fully exploits the manoeuvrability potential of this. 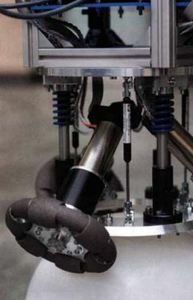 The ball is manipulated by three specially-developed omniwheel assemblies. The EPOS controllers being controlled by CAN are so fast and responsive that each omniwheel can move and control the Rezero in thousandths of a second. The Rezero can safely accelerate at 3m/s², travel at 8mph, and lean at an angle of up to 20°. At home in a crowd As well as moving and staying upright, Rezero can also interact with its surroundings. Laser and ultrasonic detectors give full 360° detection of objects up to 21 feet away, with a variety of programmable responses… which is handy, since its compact, attractive design and natural, organic movements always seem to tempt bystanders to take a closer look. Indeed, the Rezero team is so confident in its capabilities that they’ve developed a ‘game mode’ where a group is encouraged to play with the robot by jostling and tapping it. 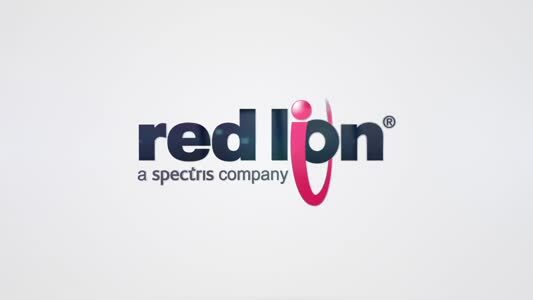 Making science fiction come true is just the kind of challenge we enjoy at maxon.